Dubai Opera is set to open its first restaurant this September, ‘Sean Connolly at Dubai Opera’. The contemporary brasserie by Chef Sean Connolly will span 12,000 square feet at the top of an iconic building in Downtown Dubai. The outlet will also be Connolly’s first in the Middle East. It will feature a main restaurant, private dining room, chef’s table, bar and an outdoor rooftop terrace overlooking the Burj Khalifa. The informal brasserie will boast a simple, produce-driven menu serving classics such as steak and seafood. British-born Connolly, who has built a name for himself in New Zealand and Australia, where he is based, currently runs five restaurants globally. 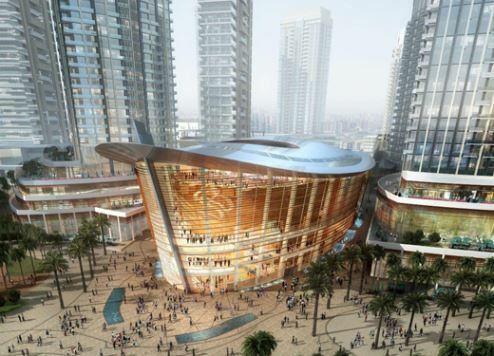 The Dubai Opera venue will become his sixth. Meanwhile, fellow Australian Chef, Johnny Di Francesco, is to bring his popular 400 Gradi Italian restaurant to the Middle East for the first time later this year. He’s signed a partnership with international retail franchise operator MH Alshaya Co. to debut the Naples-inspired restaurant in the region, marking the first time the concept has featured outside Australia. While the location of the first 400 Gradi is yet to be revealed, Dubai is thought to be the likely destination. In 2014, Di Francesco was named the world’s best pizza maker during the World Championships in Italy for his authentic Napoletana-style pizza. He described the 400 Gradi Middle East venture as “a groundbreaking milestone for the Gradi Group”. “Expanding to the Middle East is an exciting step forward, especially through Alshaya, who are a pioneer in franchising international brands,” he continued.